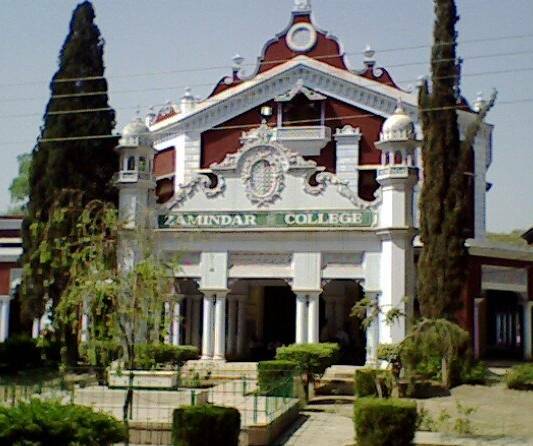 Government Zamindar College is one of the oldest college of Gujrat District. This college was established before creation of Pakistan. Nawab Sir Fazal Ali founded this college. It is a very historical college. Many famous poets, writers, politicians, doctors and engineers got education from this institution. It is located on Bhimber Road, Opposite Aziz Bhatti Shaheed District Hospital, Gujrat. Now it is affiliated with University of Gujrat. Many undergraduate and graduate level degree programs are being taught here.